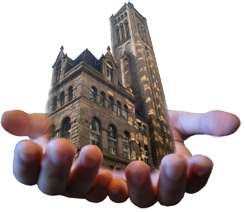 In October 2005, the Allegheny County Bar Foundation launched its volunteer pro bono program under the newly named Pro Bono Center. The center, formerly known as the Center for Volunteer Legal Resources, is the nexus between the members of the bar association and its 34 projects and member organizations that provide direct legal services to low-income individuals. The center's mission is to provide well-trained attorney volunteers to help meet the legal needs of the indigent in Allegheny County. Volunteer attorneys will have access to the support they need, including free or reduced fee CLE training, free online research, mentoring, and malpractice insurance for volunteer efforts, as well as volunteer opportunities through the center's projects, organizations, and new initiatives.